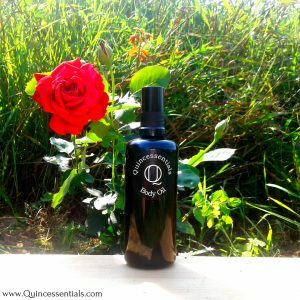 Home / Natural Skin Care / Why use a Natural Body Oil? A conventional body oil can be, like a conventional body cream, pretty bad. Mineral oil and silicone’s infused with artificial fragrances and colorants. Suffocate your body in them and you expose yourself to many toxins, carcinogens and endocrine disruptors as well as plain old skin irritants. A natural body oil like Quincessentials Body Oil does not contain any artificial ingredients. It is pure organic goodness. A light, soothing blend of organic oils specially formulated to leave skin feeling silky and nourished. Infused with organic Almond, Lavender and Rosemary oil, this skin treat is hypoallergenic and designed for skin of all ages. Body oils offer the perfect way to keep your skin moisturized while relaxing your mind and improving your body’s overall health. The most obvious benefit of body oils is their remarkable ability to moisturize your skin. Unlike most body lotions, organic body oils are free of chemicals. Body oils will lock moisture into your skin for hours, while body lotions rub off more quickly. When your skin has a healthy balance of moisture, it feels soft and supple, making you both look good and feel good. By massaging your skin with body oils, you can help to improve your overall health by reducing aches and pains and decreasing stress. In addition to the physical, emotional and environmental benefits of body oils, making the switch to body oils can save you money. This might seem contradictory because body oils are more expensive than lotions, but remember that a little body oil goes a long way. 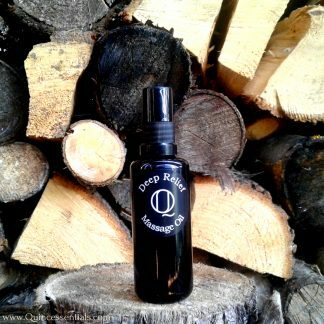 To maximize the effectiveness of your body oil, apply oil to your skin after a shower. This way, your skin will still be damp and absorb the moisture of the body oil more quickly and effectively. Also, if you warm your body oil is some warm water, or in your hands before you apply it to your skin, it will become lighter and cover more area, so that you’ll end up using less during each application.